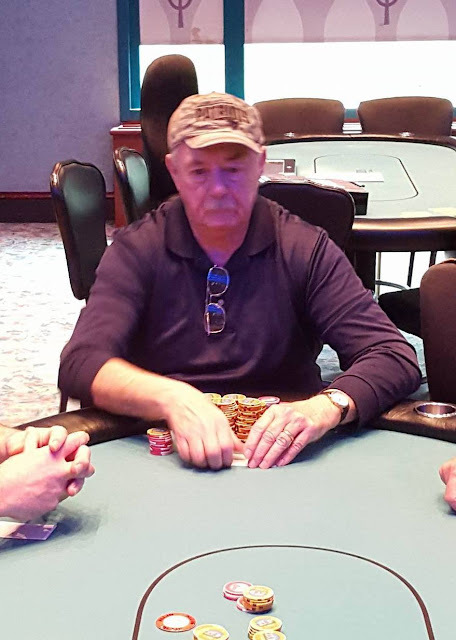 There were a total of 222 entries into today's $300 NLH Big Stack event. 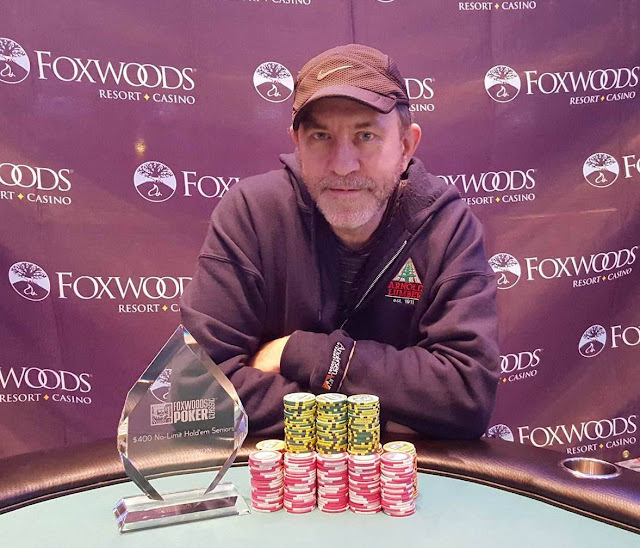 The final four players in Event #7 (Seniors) have come to a deal. They each took the following amounts and then will draw a high card for the trophy. After drawing for the high card, Alan C. Thompson will take the trophy. Joseph Guarino shoves all in from under the gun, and Homer Stebbins calls in the big blind. 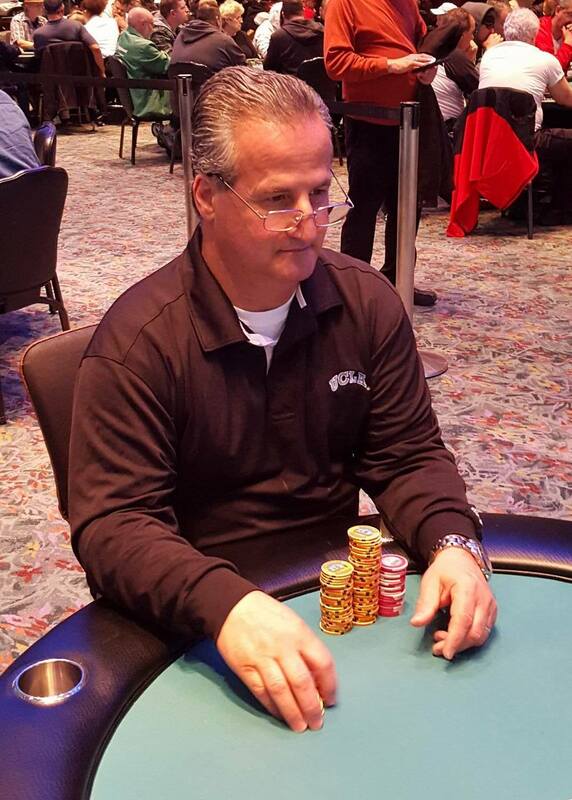 "I can't possibly beat this guy," Guarino says, referring to the fact that Stebbins has knocked out almost every player eliminated thus far at the final table, and has a commanding chip lead. 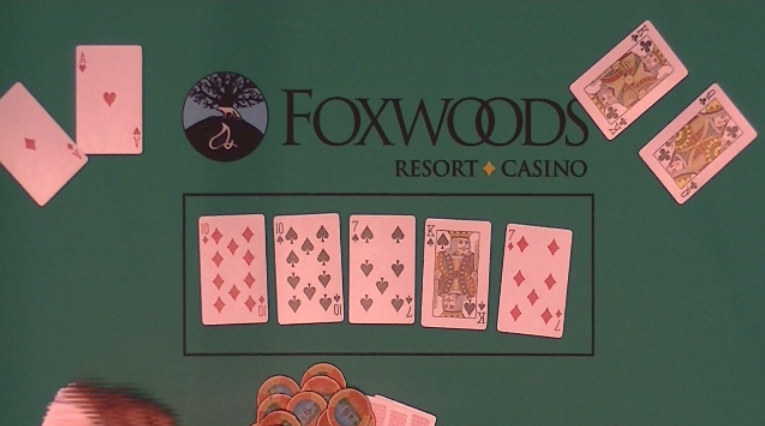 The board runs out [jd][9c][3s][4c][6h], awarding Stebbins the pot, and eliminating Guarino in 5th place. On a board reading [9c][8d][7c][10d], Joseph Berardi shoves all in, and Homer Slebbins quickly calls. 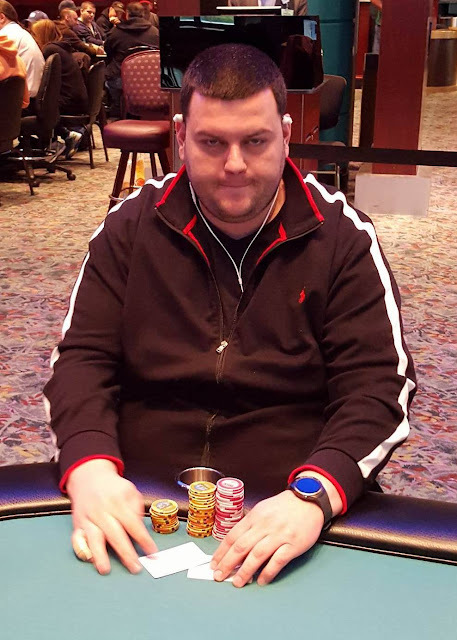 The [2c] comes on the river, and Berardi is eliminated in 6th place, taking home $2,790. On a board reading [ad][qc][4c], Amir Desai shoves all in, and is called by Joseph Berardi in middle position, and Homer Stebbins in the big blind. Both players check the [5c] turn and [9h] river, and the players table their hands. Stebbins pair of aces wins, and Desai is eliminated in 7th place, for a $2,253 payday. David Hathaway shoves all in, and Homer Sebbins calls. 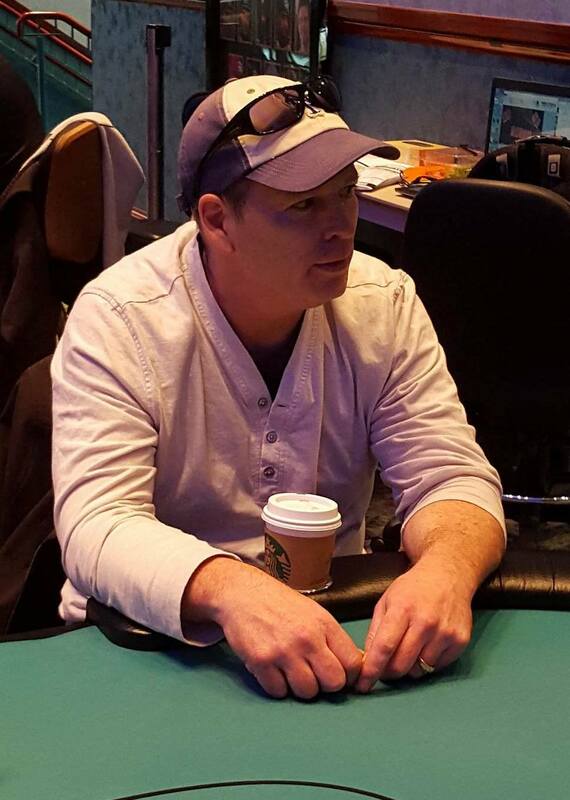 The board runs out [ks][jh][3d][6d][4h], eliminating Hathaway in 8th place, paying $1,823. 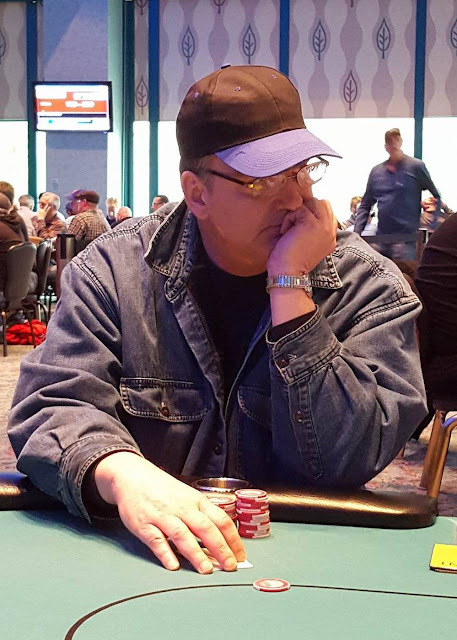 After doubling up another player in a previous hand, Robert Allain is all in for less than two big blinds and chops the pot with two pair holding K♠J♠ against his opponent's K♥J♦. 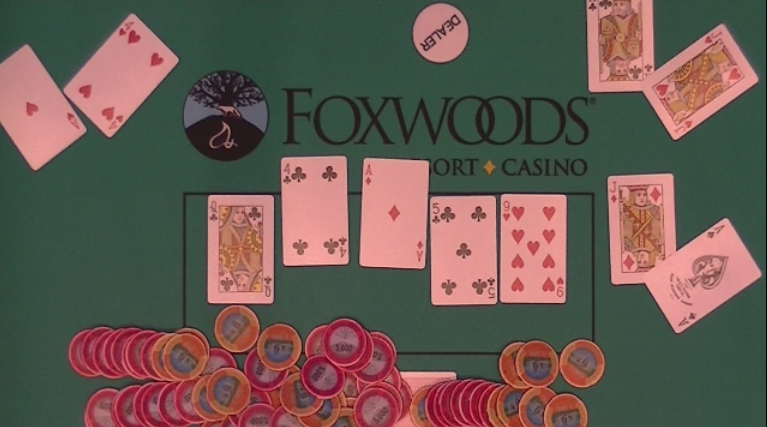 This hand, there are three limpers into the pot, and Allain shoves all in from the cutoff for 46,000. A player in middle position as well as a player in the hijack both call. The players check it down as the board runs out Q♣Q♠9♣ 6♣7♠7♦. Amir Sujak turns over A♣4♣ for the flush, and Allain shows A♠J♣, eliminating him in 9th place, with a $1,452 payday. 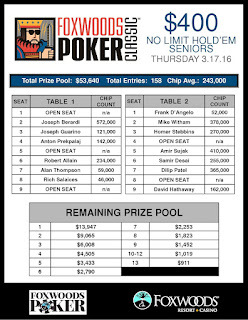 A full chip count list will be posted soon, as players are now on break. Action folds to Alan Thompson in the small blind who limps in. 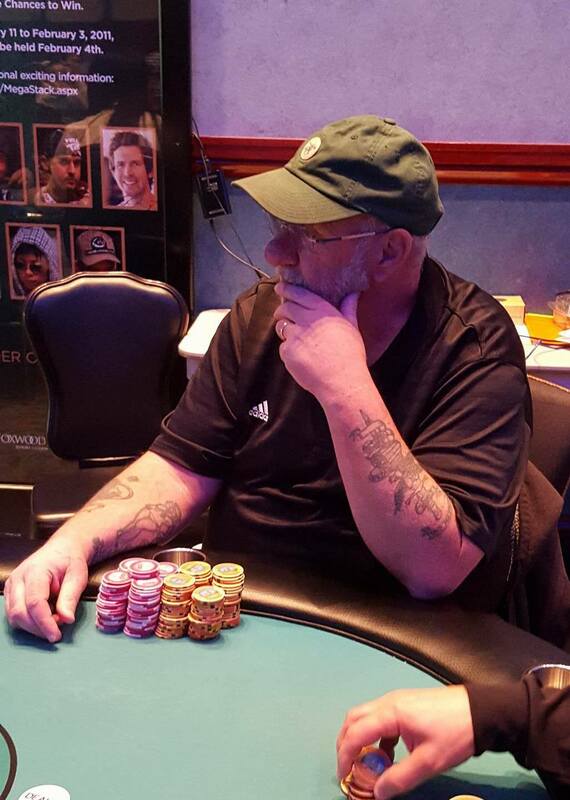 Robert Allain raises to 66,000 in the big blind. Thompson announces that he is all in, and Allain says, "I have to call you." The board runs out [10d][10s][7s][ks][7d], awarding Thompson a full double up, and leaving Allain very short. After doubling another player up with [kh][qh] against his opponent's [8d][8c], Robert Allain is left with only two single antes (4,000). The next hand, Robert Allain is up against three other opponent's and rivers a straight holding [8s][2c] on a [10c][7h][6h][jd][9c] board to get back to a little over one big blind. The very next hand, he is all in on a board reading [9c][4c][2d] holding [kc][2c] against his opponent's [as][9s]. The [qc] turn brings in the flush, and after the [8s] river, he is back in to nearly ten big blinds (150,000) at 8,000/16,000 blinds with a 2,000 ante). 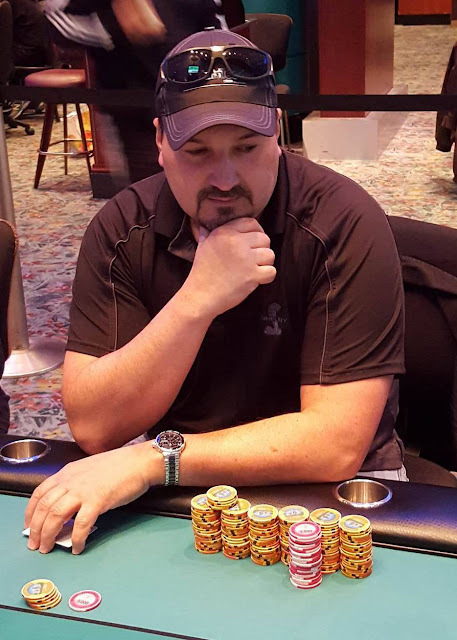 Anton Prekpalaj is all in from under the gun, and Robert Allain has called in the small blind, and Homer Stebbins in the big blind. Alain and Stebbins both check it down as the board runs out [5s][4s][2s][jh][6c]. Stebbins turns over [jd][10d], and all the other players muck their cards. Prekpalaj is eliminated in 10th place, taking home $1,019. There are currently 183 runners in today's $300 Big Stack event. The remaining 155 players are in the midst of Level 7 (200/400 blinds with a 50 ante). Anyone wishing to enter/re-enter has until the start of level 11 to do so. This tournament has a $25,000 guarantee. Structure information can be found here. Mike Witham shoves all in and Dilip Patel calls. The board runs out [as][kd][6s][3d][qc], eliminating Witham in 11th place with a $1,019 payday. We have now reached the final table. 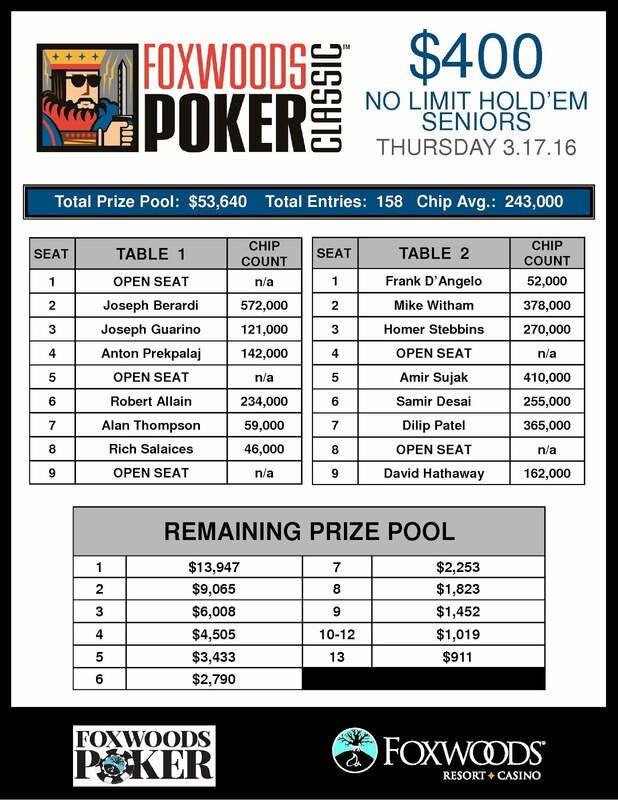 A full list of players and chip stacks will be posted when available. Event #8 is now underway. This tournament boasts a 30,000 chips stack with levels 1-25 playing 20 minutes, and levels 26+ playing 30 minutes. Anyone wishing to enter/re-enter has until the start of level 11 to do so. As a reminder, there is a $25,000 Guarantee for this tournament.